Employee Spotlight – Ed Yeung | Acutec Precision Aerospace, Inc.
From presidential podiums to plane parts, Ed Yeung has experienced quite the transition from military to manufacturing. Yeung was born and raised in Honolulu, Hawaii. Growing up with a father who introduced him to carpentry, he enlisted in the National Guard in 1996. In 2002, he transitioned into active duty and earned the rank of Carpentry and Masonry Sergeant (21W). While stationed in Washington D.C. for five years, Yeung became part of the White House Communication Agency, a military unit tasked with providing key communications support to the President and his staff. There is a good chance that you got to admire his work, as he was tasked with constructing the President’s podiums! After being honorably discharged, he enrolled in police academy to become an officer. Having met his wife in Washington D.C. and wanting to raise their twins near her family, the couple moved to western Pennsylvania. While he enjoyed his career as a law enforcement agent, he found it difficult to find job opportunities in departments due to being older than most police academy graduates. He applied to Acutec’s Machinist Training Program after hearing about the company from a family member employed by the company. 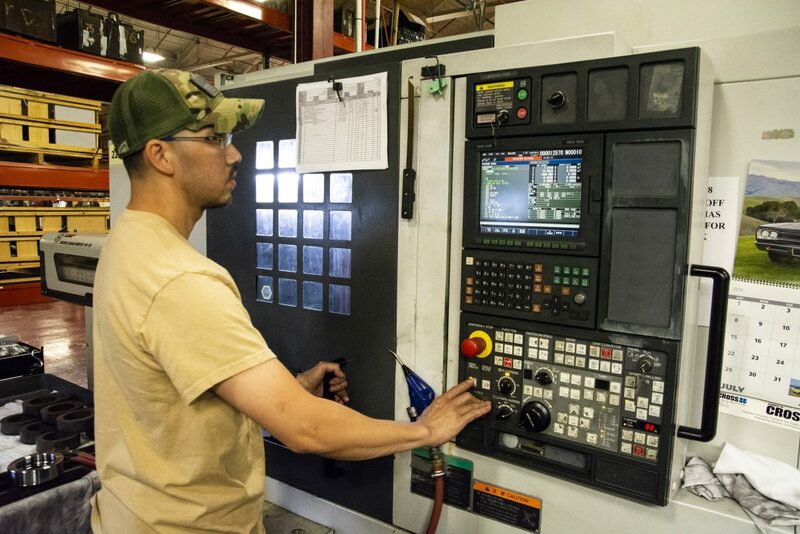 Since January 2018, he has been a strong machinist trainee in the ENF Cell manufacturing components for the defense industry, and he appreciates how his career has come full-circle. Having clear communication with his cell leader is also important to him. Lucas Warner, the Team Leader for the ENF Cell, is also a veteran having served as a military policeman for 10 years. Yeung currently spends most of his time on lathes, but he is beginning to learn how to operate vertical mills and someday wants to learn horizontal mill operation. Outside of work, Ed coaches for the Crawford County Youth Soccer Association and is getting back into playing guitar for his church.